A husband-and-wife team working as psychics cite disabilities to claim hundreds of thousands of pounds in benefits, but they don't see the fraud team, and their antics are caught on camera. Watch on the BBC iPlayer until the 7th October. Also forum member Harry filled us in on the latest from within the SNU and their opinions on these convicted frauds. "I'm told that many spiritualists are standing behind Tim Abbott and his wife. The Spiritualists National Union however have a bit more intelligence and have distanced themselves. This has caused a split. The split goes right to the top of the SNU tree. Minister David Bruton is the current president of the SNU and is opposed to Tim and Janette being allowed to perform their mediumship in SNU churches. Unfortunately for Minister Bruton the SNU top brass cannot dictate to the churches who to book and who not to. 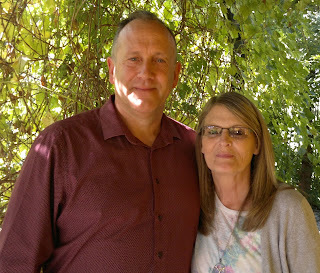 Tamworth spiritualist church, which is part of the SNU network of churches, booked Tim Abbott and his wife Janette to appear earlier this year (after Tim had been released from prison). But because Minister Bruton is the president of the national body he asked Tamworth church to cancel the booking since it would look very bad considering that Minister David Bruton does in fact live in Tamworth himself and is a long time member of Tamworth SNU church. The president of Tamworth spiritualist church ignored his pleas and went ahead with the booking, so Minister David Bruton cancelled his membership of the church. THAT'S RIGHT, the PRESIDENT OF THE UK SPIRITUALIST NATIONAL UNION LEFT HIS OWN HOME TURF CHURCH because the local CHURCH PRESIDENT would rather give Tim Abbott and Janette Abbott, both convicted fraudsters, a booking! CRAZY huh?"